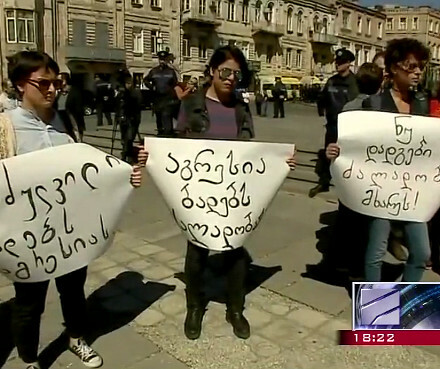 Members of Tbilisi’s Armenian community gathered in front of an Armenian church in Avlabari district following the authorities’ refusal to secure the annual rally in front of the Turkish Embassy demanding recognition of the Armenian Genocide. 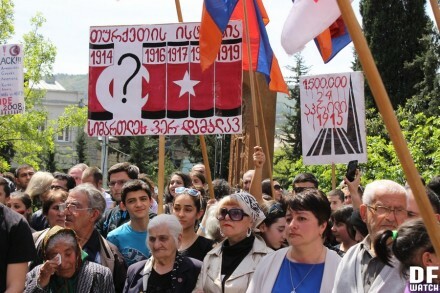 Several hundred representatives of Tbilisi’s Armenian community gathered in front of the Saint Ejmiatsin Church in Avlabari district in order to commemorate the 101st anniversary of the Armenian Genocide and to demand its recognition. Armenian Genocide is the term used to describe the systematic killing of over one million Armenians living in the Ottoman Empire by Ottoman authorities in early 20th century. 24 April, which is observed annually as the Armenian Genocide Remembrance Day, marks the arrest of up to 250 Armenian intellectuals and the head of the Armenian diaspora in Constantinople in 1915 and is conventionally considered the genocide’s starting date. The government of Turkey categorically rejects calling these events a genocide despite an increasing international recognition. Georgia has pursued a policy of neutrality regarding political conflicts between Armenia, Azerbaijan, and Turkey and has never officially recognised the genocide. 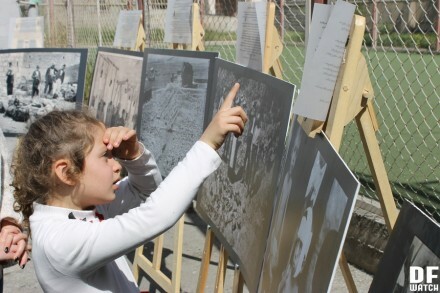 For years, Georgian Armenians, many of whom are descendants of the genocide survivors, have rallied in front of the Turkish Embassy in Tbilisi demanding the genocide’s recognition as such. On the evening of 23 April, Armenian activists customarily march through the city with torches. 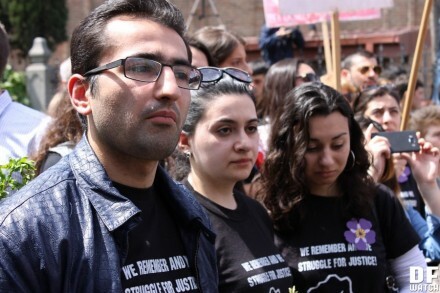 This year, the rally was moved to the Armenian‐populated district of Avlabari and the march was cancelled. The organisers published a statement on their Facebook event page. ‘Given the current developments in the country and the region and the tensions, taking into account the position, the concerns, and the request of the Georgian authorities, the Armenian Community of Georgia decided to refrain this year from holding a traditional rally in front of the Turkish embassy in order to avoid anticipated provocation’, the statement reads. 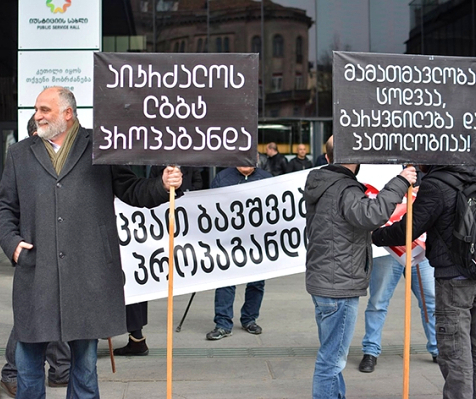 The active member of Tbilisi’s Armenian community, Inna Sukiasyan told DF Watch that Tbilisi City Hall refused to guarantee safety of the members of the rally, which was why the organisers decided to move it to Avlabari. She considered it a breach of freedom of assembly. ‘This year they said that they were expecting provocations. They wouldn’t forbid us to hold a rally, but they wouldn’t take responsibility for our safety. The state answered us that we, Georgian citizens, can’t assemble safely. I’d like to know whose interests are being protected by my state: my right to freedom of expression, or the right of another state who can be upset about what I express?’ Ms Sukiasyan told DF Watch. ‘They said that they know there could be provocations from the Azerbaijani side, although they said nothing specific. I’m not sure I believe it; maybe the Azerbaijani community wasn’t planning to organise any provocations? The state fosters the sentiment among Armenians that Azerbaijanis, who are also Georgian citizens, are a danger to them’, Ms Sukiasyan added. A small number of policemen were present in the vicinity of the gathering. Tbilisi City Hall’s press centre doesn’t operate on weekends and was unavailable for a comment. Despite the fact that the relationship between Georgia’s Armenian and Azerbaijanis has been peaceful, the tension between communities both communities have risen in the aftermath of this month’s escalation of hostilities in disputed Nagorno‐Karabakh. During the conflict’s escalation, two parliamentarians from the ruling Georgian Dream coalition, ethnically an Armenian and an Azerbaijani, issued a statement in which they asked both communities to abstain from actions which could damage ‘centuries-old tradition of peaceful co-existence’. 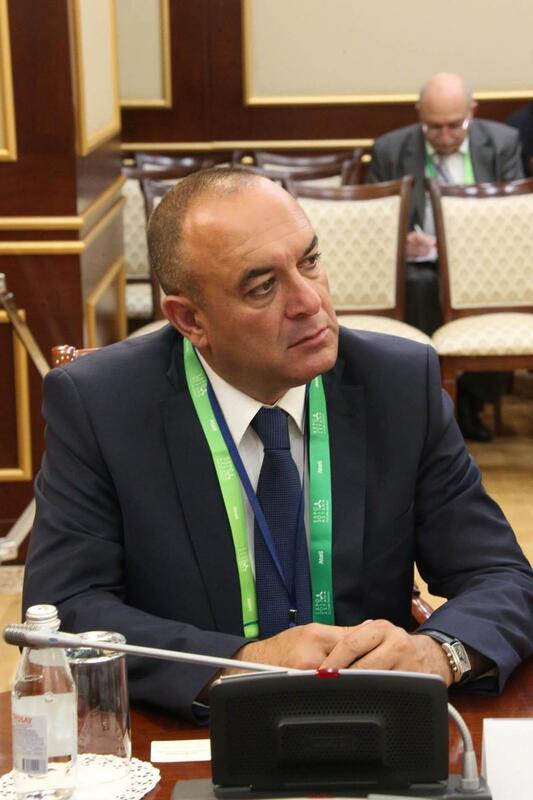 However, an argument ensued between two United National Movement MPs of ethnic Armenian and Azerbaijani origin following MP Samvel Petrosyan’s call to officially recognise the Armenian Genocide by the Georgian government. 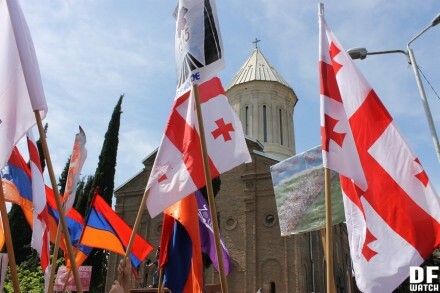 This year, in front of the Saint Ejmiatsin Church, members of the rally listened to speeches of Georgian Armenian activists and clergy, listened to patriotic music, and repeatedly called for the genocide’s recognition. 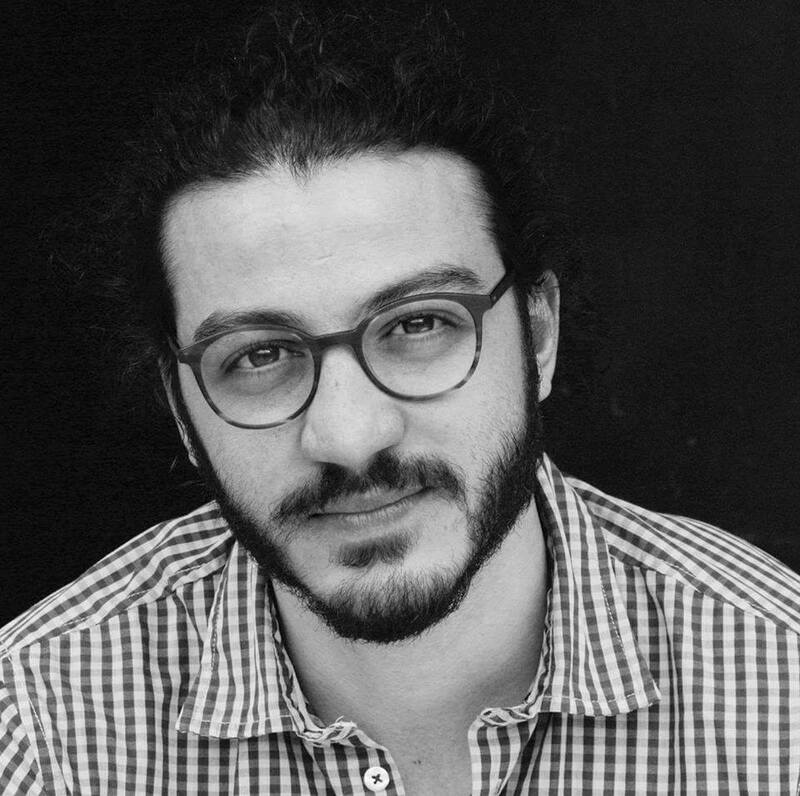 ‘A day will come, when Turkey, the descendant of the Ottoman Empire, will recognise the genocide and will compensate its victims by letting the refugees return to their houses. Our dear Georgian brothers know this pain and understand us as refugees from Abkhazia and Samachablo [South Ossetia]’, the executive director of NGO Peace Foundation, Giorgi Tumasyan said during the rally. ‘I want our Georgian brothers to pay attention to our gathering and to analyse who’s trying to create provocations and who standing here today thinking about Georgian interests. It is often said in our country that ethnic Armenians aren’t safeguarding Georgia. Our today’s really proves that it’s not the case. We took part in the war in Abkhazia and other wars on Georgians’ side. We’re standing here on our Georgian brothers’ side, so our country can make a step forward towards the truth. Recognition of crimes such as Armenian Genocide is a step towards the truth and Georgia’s European future’, Mr Tumasyan said.